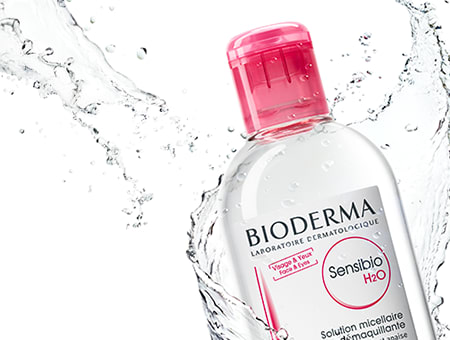 My go to makeup cleanser without water has to be Bioderma's H20 Micelle Solution. Did you know one bottle of Bioderma's Micellar Water is sold every two seconds around the world? The Micellar Water uses purified grade water which offers 100% safety and tolerance for the skin. The formula contains soothing active ingredients and cucumber extracts which do not leave the skin feeling greasy. I use Bioderma's H20 Micellar Water on a daily basis - in the morning after I wash my face, and at the end of the day to take off my makeup. It's the structure of the micelles which brings good lipids back into the skin. That's why skin is left feeling so soft and smooth after every application. 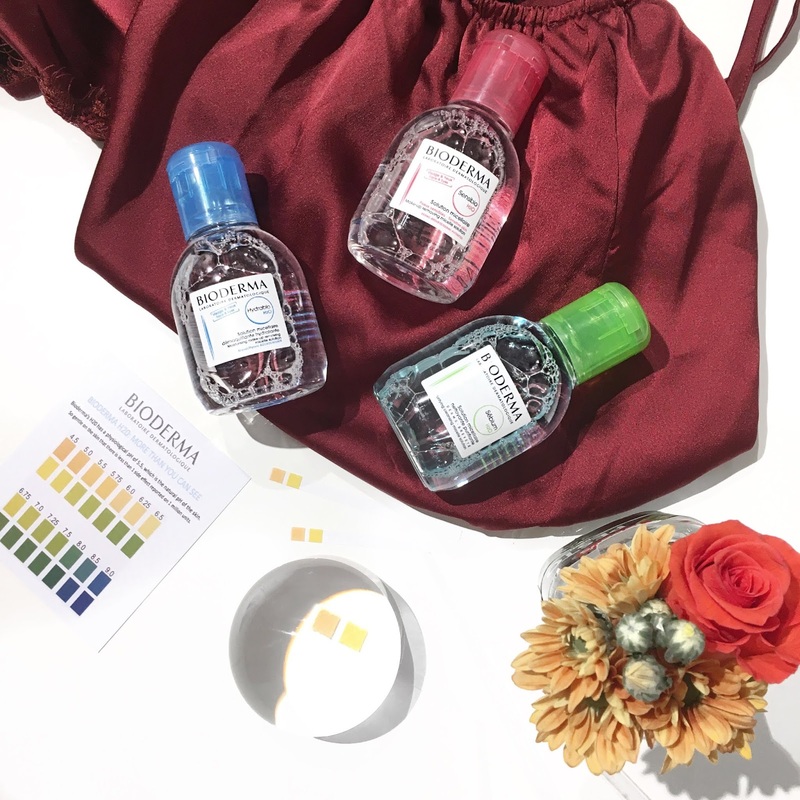 You'll be pleased to know that the Micellar Water requires less cotton pads when cleansing which means that you experience less skin irritations since Bioderma's H20 has a physiological pH of 5.5 (also known as the natural pH of the skin). Furthermore, it's available for up to 50% less than the previous purchase price, starting at $10.99 (instead of $20.99), for the 100ml size. Sensitive Skin - Sensibio H20 Micelle Solution (100m), RRP $10.99 - This is very gentle fragrance-free micelle solution that cleanses any impurities and makeup off the skin. It also works to maintain the skin's natural balance. This product is perfect for those with sensitive and intolerant skin, plus you can use it for the face and eyes. There is no rinsing required. Dehydrated Skin - Hydrabio H20 Micelle Solution (100ml), RRP $10.99 - This product is made for those with dehydrated skin and lacking the radiance for their skin. It helps to gently cleanse the skin, removing makeup from both face and eyes. Oily Skin - Sebium H20 Micelle Solution (100ml), RRP $10.99 - If you suffer from acne prone skin, this cleanser and makeup remover is perfect for you. The micelle solution uses the power of micelles to cleanse impurities (dirt and sebum) and removes makeup. All of the above mentioned products is available from Priceline, Adore Beauty and Pharmacies nationwide. Overall, my favourite has got to be their Sensibio H20 Micelle Solution as my skin is sensitive. It doesn't leave my skin feeling irritated or red after cleansing and what's more is that you don't even to rinse your face after cleansing your face with the solution. It's super gentle and doesn't contain any fragrances which definitely works with my skin.